AccorHotels is banking on Co-Mentoring: “Smart Digits” and “Smart Leaders” have the floor. 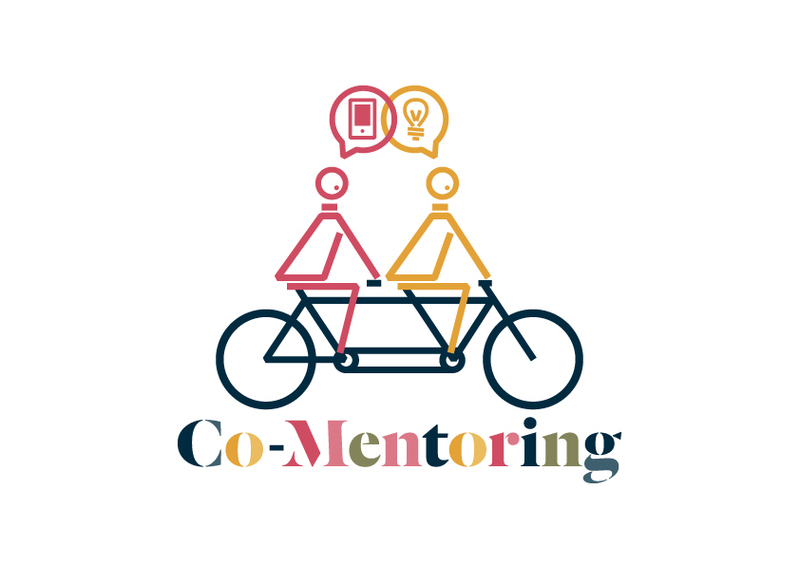 As with the Shadow Executive Committee, a group of 13 men and women under the age of 35 who work with the Executive Committee, 50 pairs of employees globally are currently testing a new program, co-mentoring. The aim of the program is to create bridges between the generations while contributing to spreading digital culture across the Group. Made up of a “Smart Digit” – a digital native completely at ease with digital solutions and trends, and a “Smart Leader” – an expert in the AccorHotels strategy and culture, each pair meet once a month to share their expertise on topics of their own choosing. During initial meetings, several “Smart Digits” sought to develop the skills of the “Smart Leaders” in the use of internal and external social networks, such as Yammer, Twitter and Instagram. In turn, the “Smart Leaders” offered to help their buddy better understand the behaviors to adopt in a business context and extend their knowledge of the Group’s values and strategy. The aim of the Talent & Culture Department, and more specifically of the Diversity & Inclusion Team which pioneered this project, is to roll out this program extensively to AccorHotels’ headquarters and operations in order to benefit from intergenerational momentum and accelerate the Group’s digital transformation. 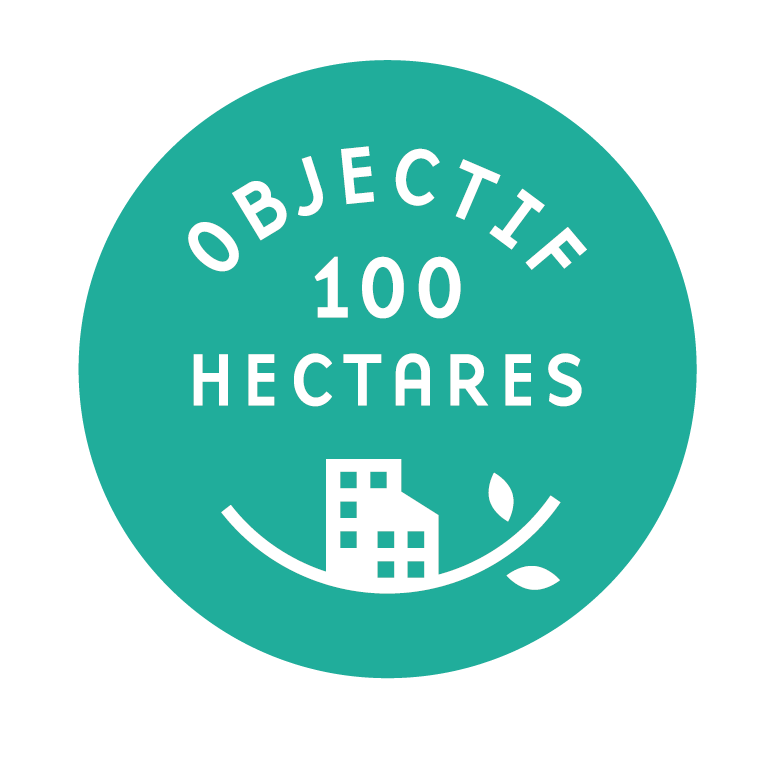 AccorHotels signs the “Objectif 100 hectares” (Target 100 Hectares) charter to develop urban farming in Paris. AccorHotels is getting involved alongside the City of Paris which, through its charter “Objectif 100 hectares”, has committed to achieve 100 hectares of green roofs and walls in the capital by 2020, 33 of which will be dedicated to urban farming. This charter ties in perfectly with the Group’s commitment to planting 1,000 vegetable gardens in its hotels by 2020. The Villa Molitor: a new secret location dedicated to Art at the Hotel Molitor Paris, MGallery by Sofitel. 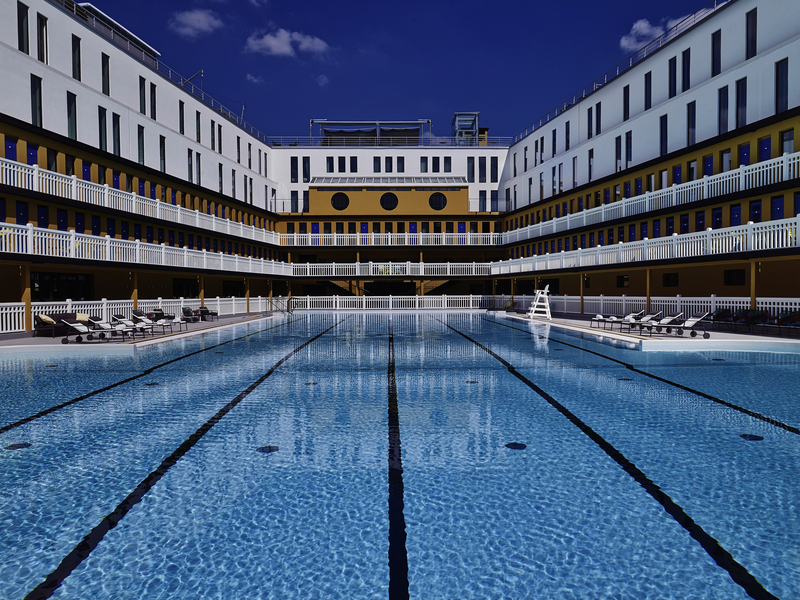 On Thursday March 16, the Hotel Molitor Paris, MGallery by Sofitel opens the Villa Molitor, an artists’ residence that has already made its mark as the new artistic meeting place in Paris. This completely new space dedicated to Art is situated in the legendary rotunda at the Porte Molitor, a 200m2 space set on two levels with a view overlooking the swimming pool, le bassin d’hiver and its impressive glass roof. Here, artists from all over the world will be invited to create and exhibit in situ works, hanging canvases, video art, special projects, etc. Far more than just an exhibition venue, the Villa Molitor is also a place in which artists and audiences can meet and talk. By appointment, audiences can explore the rooms and meet the artists while fully immersed in their work, and can discuss what they are creating and have a preview of their latest pieces, even before they have been exhibited in galleries. The Villa Molitor extends the artistic DNA of the hotel, a former haunt of the Parisian underground scene in the early 1990s, covered in graffiti by both anonymous and renowned street artists from all over the world. It follows on from the renovation of the bassin d’hiver changing rooms, highlighted by numerous exhibitions and by famous street artists. The first resident artists to be invited to the Villa Molitor will be FAILE, a pair of world famous artists based in Brooklyn. AccorHotels, official supplier to the Roland-Garros Tournament, offers an exclusive package, "The Parisian Dream". From May 22 to June 11, 2017, AccorHotels’ luxury brands are teaming up for the third consecutive year with the French Open, the iconic tennis tournament. This offer, called “The Parisian Dream”, gives guests the opportunity to experience two days of this sporting event in an exclusive fashion. Tennis fans will receive priority access to the tournament with the best seats the Philippe Chatrier court has to offer. The following day, access to front row seats on the same central court will be provided to see the most anticipated matches of the season. The day will be punctuated by a break during which guests can enjoy tea in AccorHotels’ VIP area in the Roland-Garros village. The gateaway will be followed by a one night stay in one of these prestigious hotels: the Royal Monceau Raffles Paris or the Sofitel Paris le Faubourg, both located in the 8th arrondissement, the Hôtel Molitor de Paris (MGallery) situated just a stone’s throw away from the courts in the very chic 16th arrondissement or in one of the onefinestay residences scattered all over Paris. From the first day, guests will be able to see the players at close quarters and go to the outside courts to watch scheduled matches. The “Parisian Dream” package also includes a gourmet dinner, breakfast, Roland-Garros branded gifts and treats, as well as transport between the hotel and the iconic tournament over this two-day tennis break. Ibis Bangkok IMPACT brings affordable convenience to visitors of IMPACT Arena, Exhibition and Convention Center. The opening of ibis Bangkok IMPACT enhances the reputation of IMPACT Exhibition and Convention Centre as one of the best meeting and events venue in Thailand. 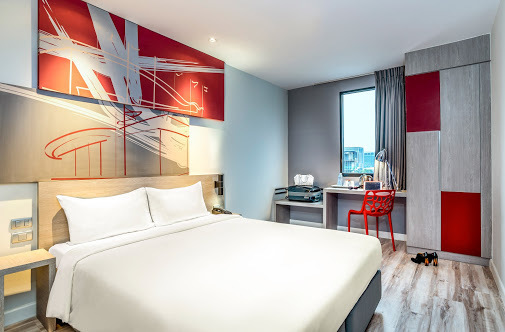 The new ibis Bangkok IMPACT adds 587 rooms to the existing 380 rooms Novotel Bangkok IMPACT, offering an attractive alternative to international exhibitors and visitors. As the only economy branded property there, the new hotel perfectly complements Novotel Bangkok IMPACT in offering the best accommodation options for visitors of IMPACT. The hotel is also well-positioned to respond to the increasing demand in the area, which will welcome a water park, go-kart track, office complex, shopping centres, beach club and marina, and the new Metropolitan Rapid Transit Pink line. The hotel highlights an inviting exterior accentuated by primary colours, earthy tones and raw materials that blend harmoniously with red and blue touches around the public areas, complementing its laid-back atmosphere. The spacious lobby area and 500-seat TASTE Restaurant offer floor-to-ceiling natural light. 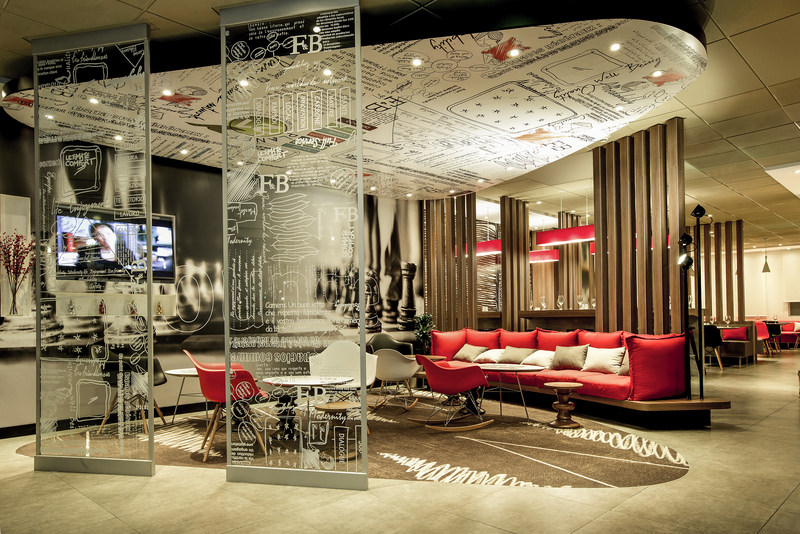 A 24-hour ibis café & bar is available for guests to savour their favourite drinks or snacks, while the ibis Web Corner offers guest WIFI access and opportunity to catch up on work while listening to their favourite songs on the digital Jukebox. AccorHotels opens Hotel ibis Lima Reducto Miraflores. Adding experience and betting on the growth of tourism in Peru, AccorHotels opened ibis Lima Reducto Miraflores in the city of Lima to offer comfort and well-being at the best price. The hotel is the second ibis brand in the country that strengthens the position of the brand in the Peruvian market and further consolidates the expansion plans in South America. Strategically located in the 10th block of Miraflores Reducto Avenue, ibis Lima Reducto Miraflores offers 154 rooms with the ‘Sweet Bed by ibis’. Guests will be able to enjoy the gastronomic concept "ibis Kitchen Lounge and Bar ibis Kitchen Lounge". Its contemporary design in the common areas meets the international standards of the brand with wide open spaces that seeks to connect guests with collaborators and thus achieve a more pleasant atmosphere. There are currently 3 500 000 tourists a year in Peru and the government has proposed to double that number in the next five years, which will require twice as much tourist infrastructures, especially in hotels. Ibis Lima Reducto Miraflores comes to reinforce a demand of travelers who come to sightseeing or in business plan.